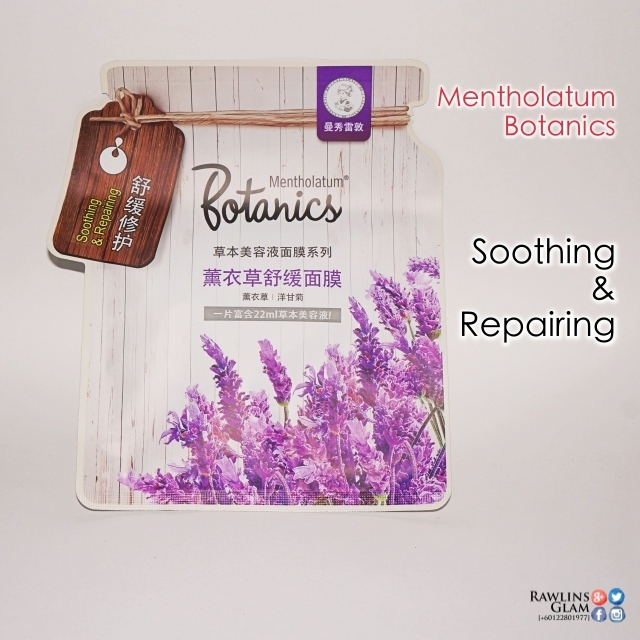 Mentholatum has recently launched its latest nature-inspired series, aptly named the BOTANICS. 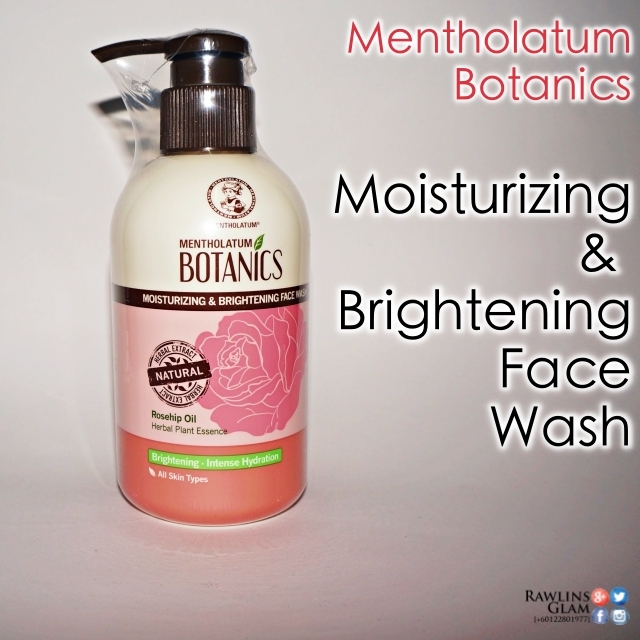 Inspired by the goodness of nature from the earth, the BOTANICS offers consumers the best skin care results at an affordable price. We all know that natural products could cost a bomb to use but to have it at an affordable price are certainly a totally new story. 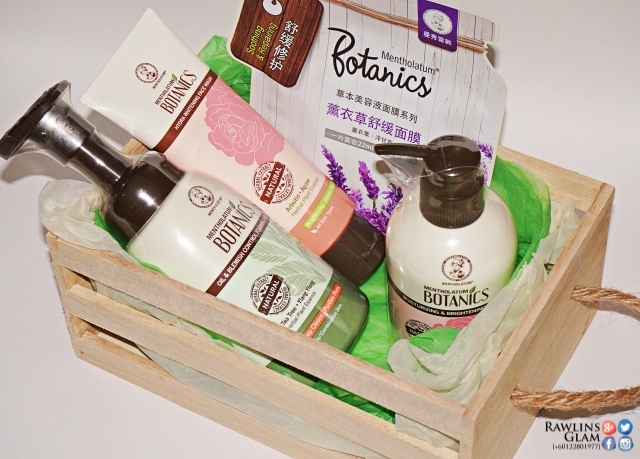 The BOTANICS uses the finest ingredients with the highest quality natural herbal essences from flowers and herbs to give you the best experience which only nature can produce. 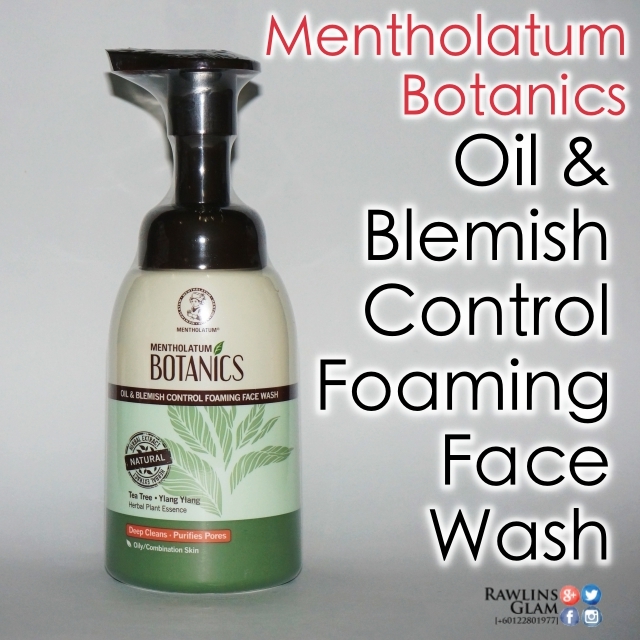 The BOTANICS consists of four range of products namely tube face wash, foaming wash, pump wash, and sheet masks. 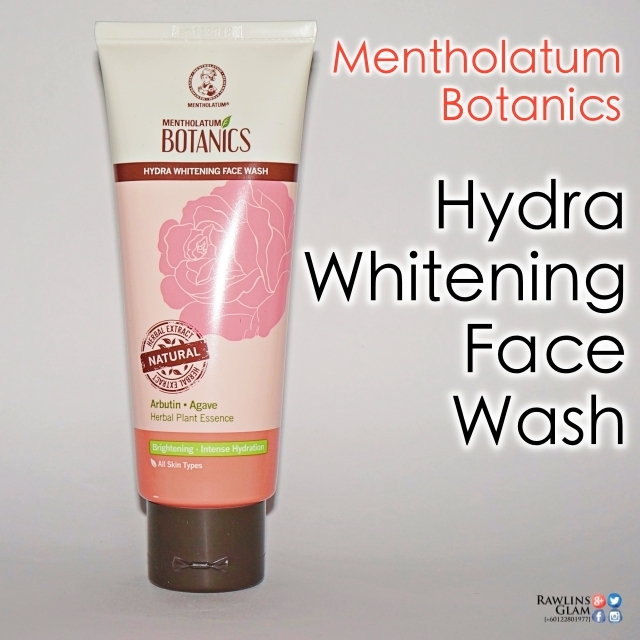 Hydra Whitening Face Wash - Formulated with Arbuten Bearberry to brighten the skin and enhance skin fairness. Also contains Agave to retain skin moisture and promotes collagen synthesis. It is suitable for all skin types. Deep Cleansing Face Wash - Contains Ylang-Ylang, Tea Tree Extract, White Tea and Olive Tea to balance oil, deep cleanse and purify pores. It is suitable for oily and combination skin types. Hydrating Face Wash - Contains Calendula, Jasmine, Aloe extract and Violet to promote skin moisture, soothing effect and rejuvenate dry, irritated and sensitive skin. It is suitable for dry and combination skin types. Pore Refining Face Wash - Contains Rosemary, Witch Hazel, Lentil and Green Tea to minimize pores, control oil and fights acne. It is suitable for oily and combination skin types. Moisturising and Brigtening Face Wash - Formulated with Rosehip Oil and Pearl extract to help brighten, tone and improve skin's luminosity. It is suitable for all skin types. Deep Clean Face Wash - Contains Ylang-Ylang, Tea Tree Extract, Cucumber and Aloe Vera to balance oil, prevent blemishes and to moisturize and soothe skin. It is suitable for oily and combination skin types. Oil & Blemish Control Foaming Wash - Contains Ylang-Ylang, Tea Tree Extract and Wild Pansy that are effective in curbing blemishes. It is suitable for oily and combination skin types. Whitening Foam Wash - Contains Aloe extract and Narcissus to have the moisturising properties while at the same time brightens the skin. It is suitable for all skin types. Lavender for Soothing Facial Mask - Refresh and re-energize with a soothing blend of Lavender and Chamomile to calm and reawaken the skin while soothes, repairs and pampers skin. It is suitable for all skin types and especially sensitive skin. Aloe Vera Hydrating Facial Mask - Formulated with the blend of Aloe Vera and Narcissus to hydrate and sooth the skin while reviving the skin. It is suitable for all skin types and especially dry skin. Pomegranate Anti-Oxidant Facial Mask - Blended with Pomegranate and Natural Herbal Extracts to protect the skin from aging. It is suitable for all skin types. Rosemary Pore Refining Facial Mask - Contains Rosemary and Witch Hazel to minimize pores. It is suitable for oily and combination skin types. Rosehip Oil Brightening Facial Mask - Contains Rosehip to help brighten skin tone and improve skin luminosity. It is suitable for all skin types. I love the Tube Face Wash the most as it is the most mobile for me - I could bring it anywhere without the fear of it might spill inside my luggage. The other wash is very handy to use at home or even at offices, for the Muslim ladies to wash their face before taking the ablution for prayer. Get yours now only from the Guardian Store! Check out the sites listed below to know more about the BOTANICS. The tube wash as I can bring it anywhere. I keep the foam wash in the office for emergency cases. I love rosemary a lot, and i notice there is a rosemary facial mask!! I love the natural ingredients of this range of products. I have been looking high and low for something that isn't too expensive. Glad I found it! I just saw this product on yesterday. Haveq you tried on them? Which one is good to use? I like this brand and have tried a few products from them. 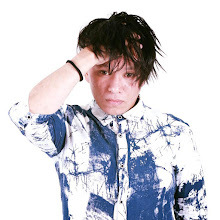 Will surely check out new variety too. I am using this lovely facial foam in the morning for my wake me up ... it is so refreshing and fragrant..
You got me thinking! Looks like something to reward oneself after a long day or hike. Interesting range. Thanks for sharing! Way to go, bro! Thanks for sharing your skin care regime. Btw, that's a cool cover photo you got up there! I love to use their mask...and the price also affordable.. I like to be "snow white" lol that's the reason I will try their whitening foam mask. heard about this brand - love the fact that they are natural and they are affordable! I love their masks and plan to get more from Guardian this weekend. Moisturising and Brigtening Face Wash looks suitable for my skin. Will get it this weekend.